Coffee Bars of Jaipur-A List | This Jaipur! Coffee Bars of jaipur are a hangout for the Jaipur youngsters and visiting indian and foreign tourists and the up coming bright young professionals working in Jaipur.The aroma of brewing coffee is an like an elixir to them.That is why according to a Cafe Coffee Day survey about 18% of a bars customers of 15-29 years age group of both sexes come for coffee every day and 44 % visit every week. You must admit it is a much better alternative of a hang out than the inter net where they make friends in fantasy land or play games which max on blood and gore. If you follow the arcane research on the bad or good effects of coffee drinking on your health remember if you indulge in coffee drinking in moderation as in any other vice-you can enjoy your brew for years to come.As you grow older you will realize that your elders were more right than wrong-even in this age of global village and fast changing world. Jaipur offers a coffee joint for every budget in different locations-in malls,on highways,on petrol pumps- and even in the late hours of the night or early morning.You pick and choose.Most places are open from 9 am to 11 pm. 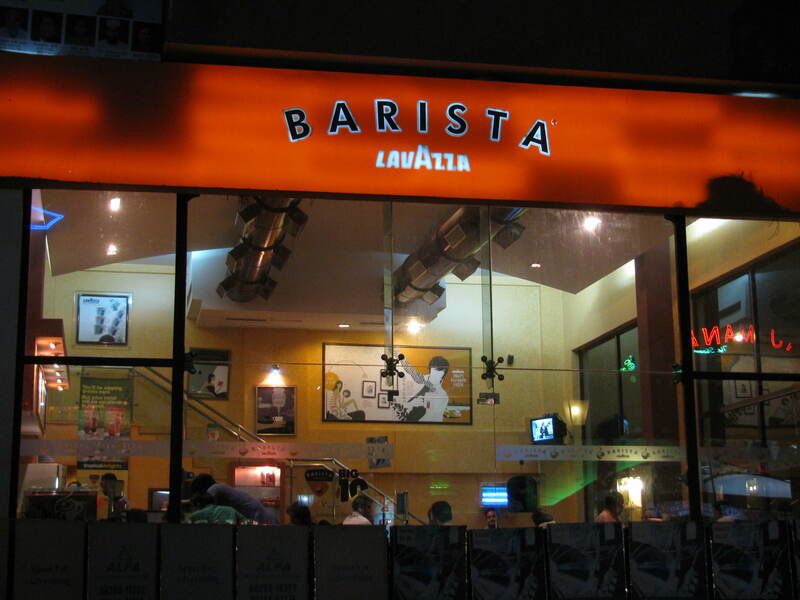 This entry was posted in Accomodation, Around Jaipur, Blogroll, City Life, Coffee, Coffee Bars, Comments, culture, Details, food, GuestHouse, Hotels, india, Jaipur, rajasthan, rajasthani, Travel, Uncategorized and tagged Barista, Barista Lavazza, Barney's, Bars, Brewers, Cafe Coffee Day, caffe, Coffee, Coffeehouse, Costa, Durg Cafe, Gauri, Highway, india, India Coffee House, Java Green, JLN marg, kaffe, Kaffee, kave, Lounges, Mocha, Mr Beans, Nahargarh, Neel mahal, Rambagh, RTDC, Saras Parlour, Starbucks, The Rock. Bookmark the permalink.